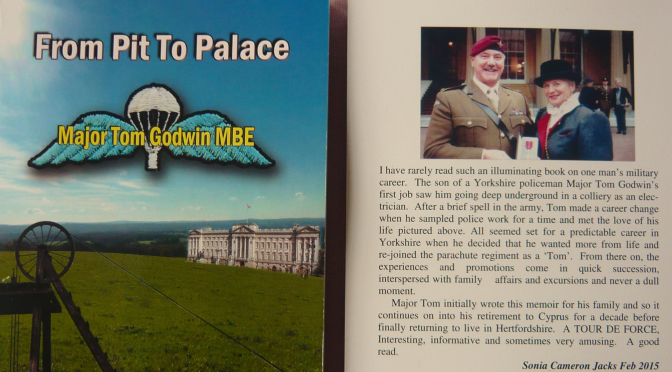 Recently published, ‘From Pit to Palace’ tells the story of one man’s military career. Major Tom Godwin MBE initially started his working life as an electrician before joining the army briefly. Tom made a career change when he sampled police work, following in his father’s footsteps, and it was during this time that he met his wife. Before they settled down for a quiet life in Yorkshire, Tom decided he wanted more from life, and re-joined The Parachute Regiment. In the years that followed, Tom rose through the ranks to Major and as is the case with most military careers, there was never a dull moment! 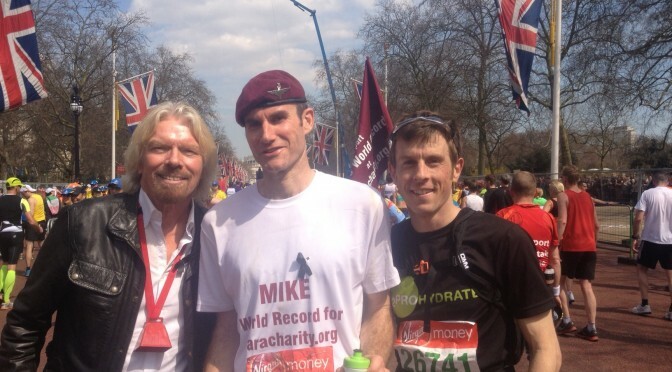 Tom has kindly said 10% of personal sales will be donated to SUPPORT OUR PARAS, which we are extremely grateful for. Pick up your copy today from Amazon. Infiniti Support Our Paras Racing left Donington Park buoyed by another series of marked time improvements in the latest round of the Dunlop British Touring Car Championship. The team arrived at the Derbyshire track with both Infiniti Q50 race cars for the first time this season, and saw both Derek Palmer and Richard Hawken take to the track. 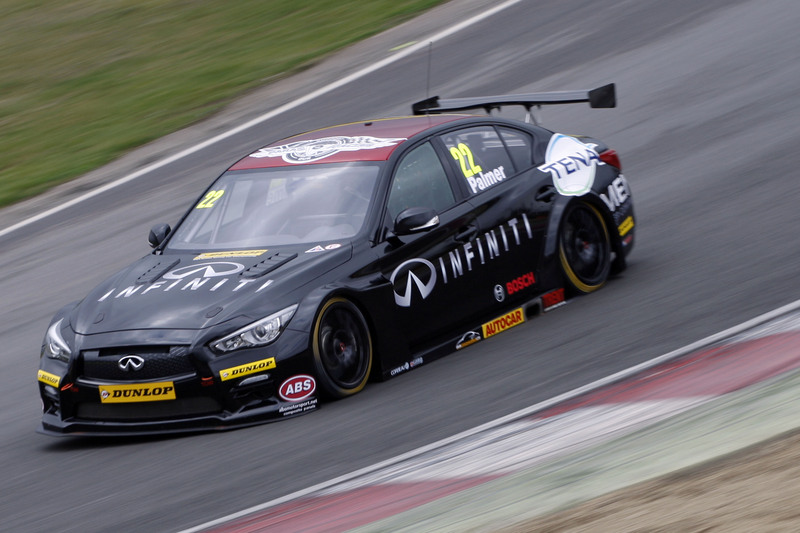 The team’s Infiniti Q50 race cars are prepared by injured ex-servicemen from the Parachute Regiment, with all team profits being donated to Support Our Paras, the official Regiment charity. 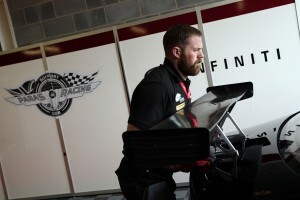 Palmer, the 28-year-old from Lesmahagow, shaved an impressive 16-seconds off his lap times over the weekend. After clocking 1min 27.244secs in Saturday’s opening free practice, he improved dramatically through the day to set 1:11.930s in qualifying. But the Scot’s weekend was ruined when his engine suffered a progressive power loss through Sunday’s opening 16-lap race. And despite again recording a series of improved lap times throughout the race, his car eventually slowed to a halt on his in-lap. Palmer, realising his engine was struggling as he headed for the pits, had the sense to switch the unit off as he headed towards the final chicane. His actions were praised by engine supplier, Swindon. “Derek’s actions certainly saved the engine from suffering further, more extensive damage,” a Swindon Engines spokesman said. The damaged engine will be returned to Swindon for detailed examination. 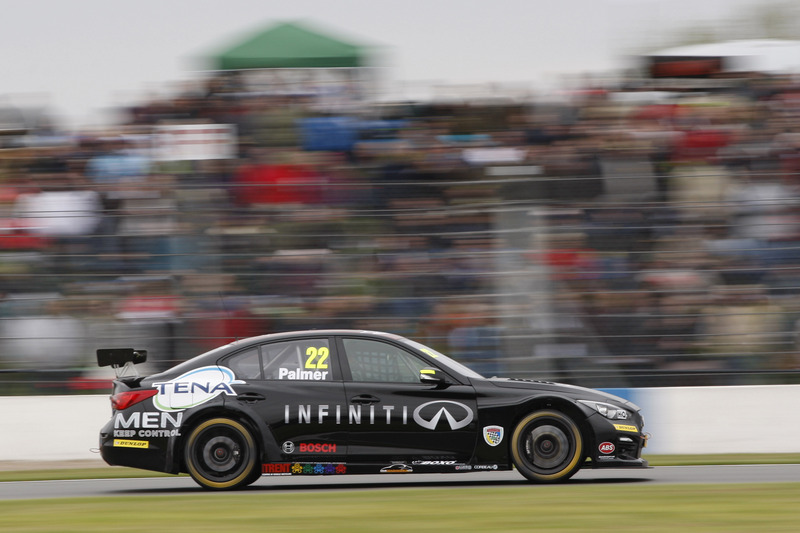 With Palmer ruled out of the day’s final two races, Hawken, making his debut in the 2015 BTCC, safely negotiated all three races, culminating in a top 20 finish in the day’s action-packed finale. The weekend was also rated a success by the injured Paratroopers working on the team’s race cars. “Obviously we’ve had a couple of ups and downs this weekend,” former Para Corporal John Price explained. “Derek’s car went down, but it couldn’t be helped: it’s just one of those things in motorport. “This weekend I was in charge of jacking Rich’s car up, basically making sure everything with the car was alright. Considering this was the first time our side of the garage had had its on car to work on at a race weekend, everything really went very smoothly. John’s sentiments were mirrored by one of the guys working on the other side of the garage. “It went really, really well this weekend,” former Corporal Mike Lewis said. “It was obviously unfortunate that Derek’s engine went, but the other car competed well right through the weekend. We achieved another goal, getting Car 2 through all three races this weekend. 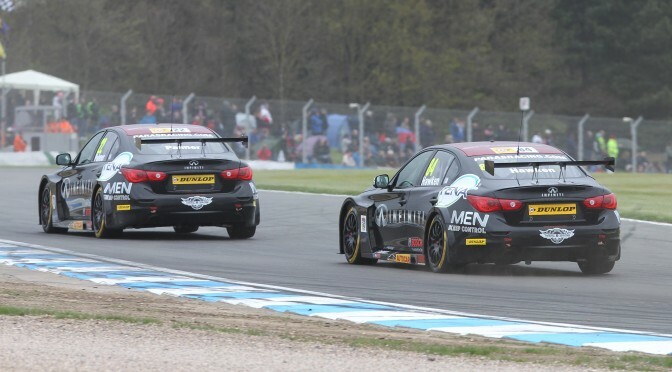 We’ll have both cars back out next time at Thruxton. The team worked really well again this weekend; even better than we did at Brands hatch, so it confirms we’re improving as a unit, and we’re getting faster and stronger. 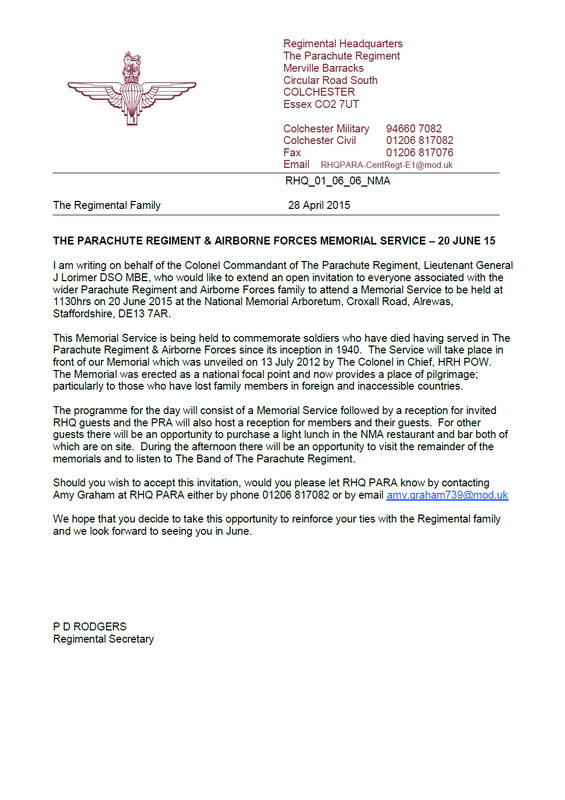 There will be a Memorial Service on 20 June 2015 at the National Memorial Arboretum for those associated with the wider Parachute Regiment and Airborne Forces family. 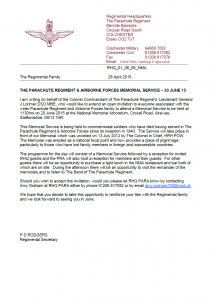 This Memorial Service is being held to commemorate soldiers who have died having served in The Parachute Regiment & Airborne Forces since its inception in 1940. 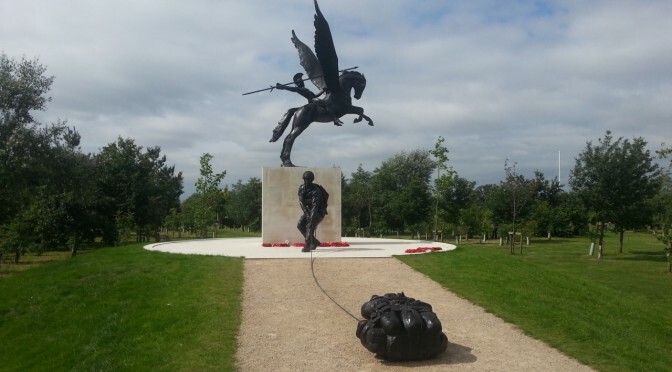 The Service will take place in front of our Memorial which was unveiled on 13 July 2012 by The Colonel in Chief, HRH POW. The Memorial was erected as a national focal point and now provides a place of pilgrimage; particularly to those who have lost family members in foreign and inaccessible countries. For more information, please see the letter from the Regimental Secretary below. 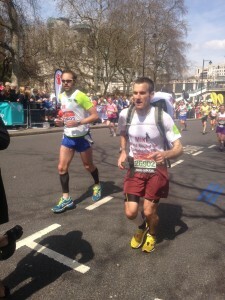 Our very own OC P Company is also taking part in this year’s London Marathon. Chris Collier is taking part in his third consecutive London Marathon this year with a view of beating his personal best time of 2h 58m 59s. 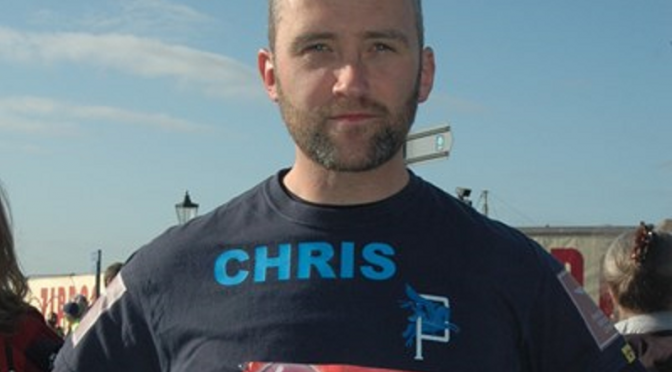 Help Chris reach, and smash through his fundraising target by donating to his page. He has promised that the more he raises, the faster he will run! 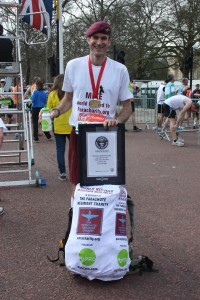 On Sunday 26 April 2015, Mike Ellicock broke the World Record for ‘Fastest Marathon Carrying a 20-lb Pack.’ Mike ran the 26.2 mile course in an impressive 2h 56m 39s, smashing the previous record by a whole 10 minutes! You can still donate to Mike’s fundraising page here. 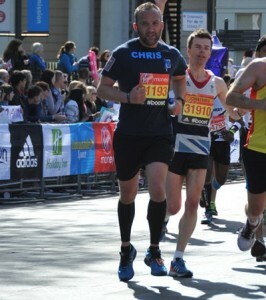 Running the London Marathon in a good time is a challenge for most people. So imagine trying to break a World Record at the same time. Mike Ellicock is doing just that, for the second time! The record currently stands at 3h 06m 16 seconds and was set at the Tokyo Marathon in February 2015. 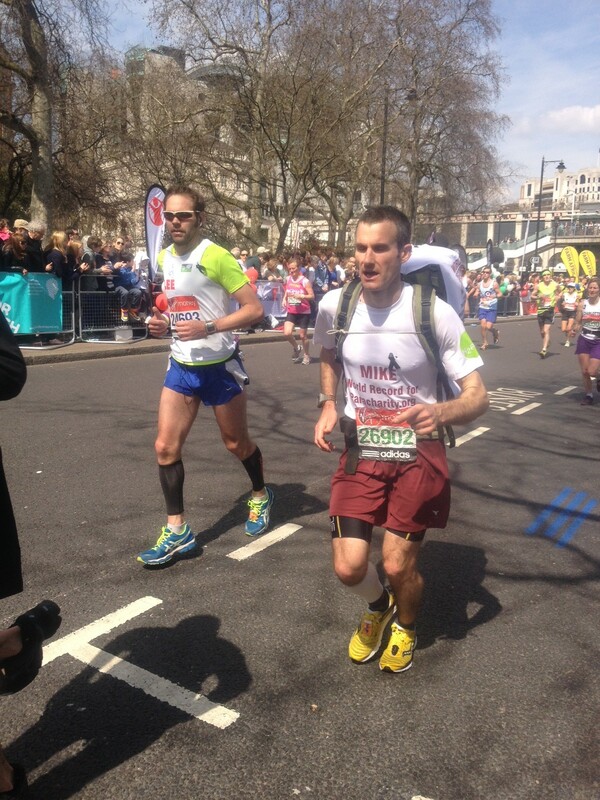 Mike is aiming to complete the London Marathon in under 3 hours. This year, Mike is raising money for both SUPPORT OUR PARAS and National Numeracy – two charities which hold a very special place in his heart. In September 2000, Mike was platoon commander for A Coy 1 PARA when he was injured on operations, but thanks to a rapid casevac, he suffered no permanent damage. He has chosen to raise money for SUPPORT OUR PARAS in aid of those who did not share his good luck and who need support for many years to come. National Numeracy is an independent charity established in 2012 to help raise low levels of numeracy among both adults and children and to promote the importance of everyday maths skills. Mike is CEO of National Numeracy and believes that if you value something, believe that you could do it and then put the effort in, almost anything is possible. We wish Mike the very best of luck and hope he smashes the World Record this year just like he did in 2013. 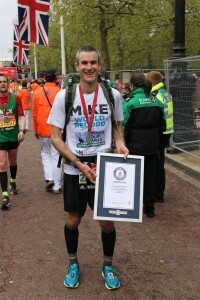 You can visit Mike’s fundraising page here.